Click on the Play Button and 'Brave Pawn' will start after this message... Thanks for waiting! Do you feel like playing chess? You have the white pieces, so it's your turn first. Save the game if it gets too long! Are you ready for a thrilling online chess match? Choose either the white or the black pieces and put your skills to test against players from all over the world! Pay attention to their moves, put your senses to test, plan your strategy and look for that checkmate in order to win. You will need lots of patience, focusing and quick wits! 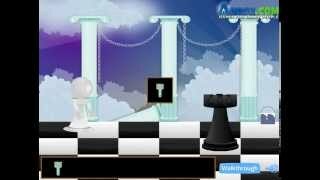 Take over your rival in this free chess game! Are you ready to enjoy a thrilling chess game? Put your senses to test, plan your moves carefully and look for the checkmate in order to defeat your rival. Have fun! Just like you might have guessed, in 'Anti Chess' you need to lose as many pieces as possible. You can choose to play against the computer or against other user! One day, this pawn grew tired of being cannon fodder on the chessboard, so he decided to start breaking the rules and become King. Make his dreams come true!